Mark’s daughter Amy has the autoimmune disease Lupus. Photo credit: Willie Urquhart. A Skye businessman is set to embark on a coast to coast charity cycle of over 200 miles this weekend to raise awareness of Lupus. 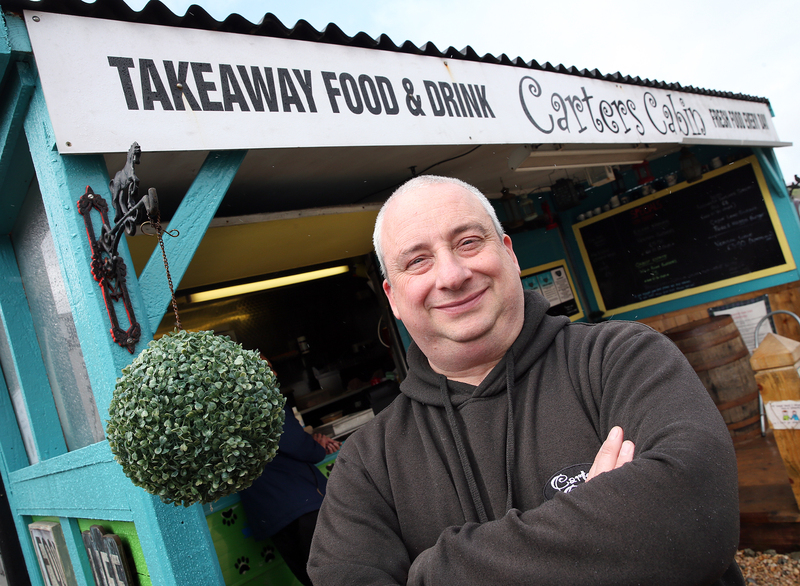 Mark Carter, who runs the food and drink takeaway outlet Carter’s Cabin in Broadford, is undertaking the challenge to shine a light on the autoimmune disease — lupus —which his daughter Amy was diagnosed with at the age of 14 and almost died of less than two years ago. 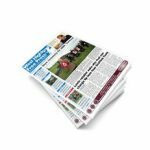 Mark, who lives in Torrin, but is originally from Yorkshire told the Free Press that despite the devasting effects it can have on the lives of many people – when it comes to the public’s awareness of the disease – lupus was still somewhat of an unknown quantity. “It kills more people than cancer, but it doesn’t get the same recognition that cancer does,” said Mark. “There are various forms of Lupus, Amy suffers from Lupus SLE, which is the worst form and has brought other things with it, so she has epilepsy, Raynaud’s, severe arthritis and has vacant seizures. It is really difficult to diagnose, too, it took about three to four years to diagnosis Amy properly for lupus because they thought it was growing pains. Now 22, Amy lives in Yorkshire but is unable to work because of the seizures she experiences. And on the day of our interview with Mark, Amy was taken to hospital again. 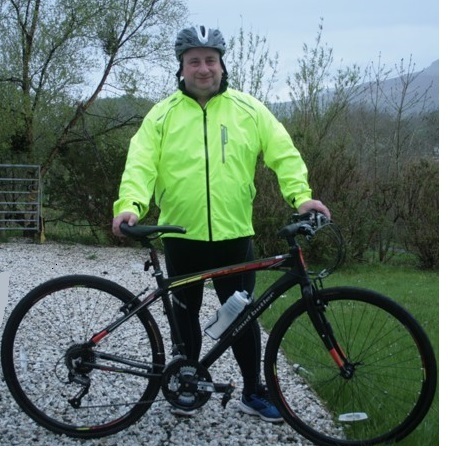 Mark aims to cycle over 200 miles across three days for his challenge. Photo supplied by Mark. Mark will start his journey in Banff on Friday morning (May 18th) and will be joined by his wife Alison, who will travel with him in a support vehicle. The journey will see Mark travel from Banff to Nairn for the first leg, Nairn to Drumnadrochit for the second leg on Saturday, before he returns to Broadford from Drumnadrochit on Sunday evening (May 20th).